The Penrose Touring Website uses Secure Socket Layer (SSL) encryption for THE ENTIRE WEBSITE, not just the checkout pages. This helps to increase the confidentiality of your information. It is also used to confirm that the server you are passing information to, is the correct server on which the Penrose Touring website is hosted. If any other internet user intercepts the communication they will only be able to see it in an encrypted form. Penrose Touring uses an SSL Certificate provided by Thawte. 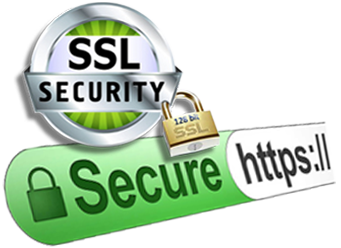 Thawte are global SSL experts and a major provider of SSL certificates. and at the bottom of every page on this website. You are also able to check the validity of the certificate by clicking on the lock icon in your browser. Penrose Touring do not recommend the use of older browsers for secure transactions. 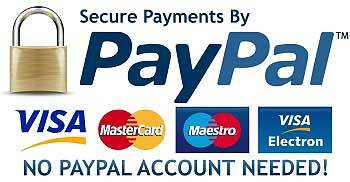 It's secure, easy to use and versatile - PayPal purchases can be made via a customers credit card, debit card, bank account or existing PayPal balance. Paypal also detects if you are using a mobile or tablet and provides a checkout that is easier to use for these devices. It means that at the end of the checkout process - when you are ready to pay for your order - you will be passed to the secure Paypal website to enter your payment details. Penrose Touring never see, store or handle your credit/debit card details ( or any other payment method such as a Paypal Account ). Does this mean I can only pay if I have a Paypal Account?